– Joe’s Question Corner: How Do I Know Which Coil Size I Need If I’m Not Using 20# Bond? Joe’s Question Corner: How Do I Know Which Coil Size I Need If I’m Not Using 20# Bond? A: The 20 lb measurement is based on the most commonly used paper; 20 lb bond (or standard copier weight paper). The easiest way to determine the size you need with different stock is to stack the material you are binding and measure its overall thickness to be bound. 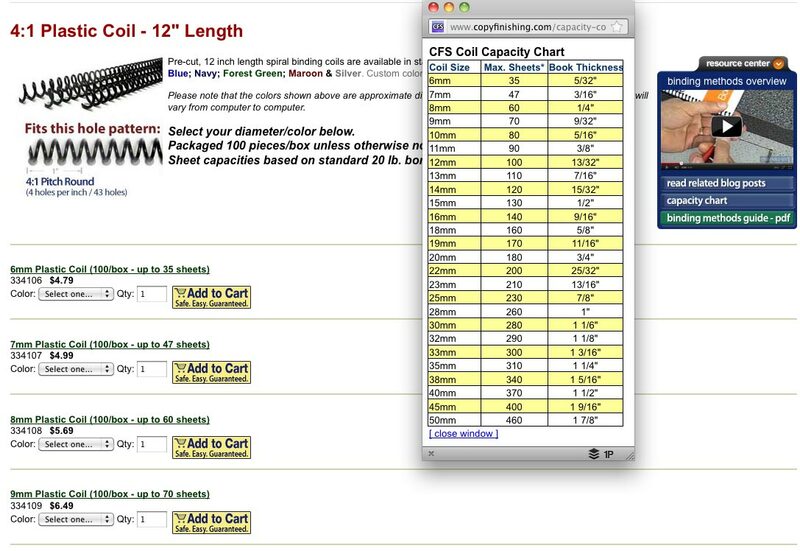 Once you have that measurement, simply click the capacity chart link found in the CFS Resource Center to see the maximum book thickness for each plastic coil diameter. CFS has binding element capacity charts for several different binding methods. 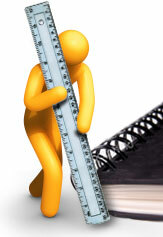 Do you have a special tip you use for determining your booklet thickness? Share it in the comments below.